You said it, Melissa. 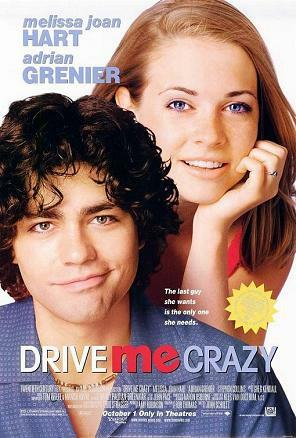 Though it lacks much pedigree, starring the former Clarissa Explains it All figurehead and the future leader of the pack on Entourage, Drive Me Crazy fell into teen comedy obscurity amongst the plethora of popular ones at the time (namely She’s All That and 10 Things I Hate About You). In fact, you’ll likely find it relegated to $5 dollar bins across America. So to sum it up, there’s no excuse by way of inaccessibility for seeing this underrated gem. So I tell you, it’s time to forget what you think you know about Melissa Joan Hart. Though she’s made some missteps in her career (um… Melissa & Joey?) this flick is a admirable teen comedy that surprises with its zingers. There’s of course a predictable soundtrack loaded with late-90s pop-rock faves, but give it a chance! Hey, at least it’s nice to reminisce about the days when pop was as simple as Britney Spears in a goofy waitress costume. Not a bad movie, but the more significant question to be asked is why does everyone seem to hate Adrian Grenier. Are they jealous of his hair?